If that 1989 film was rated “R,” so too are these tomatoes. “R,” as in Redolent with Flavor, Ridiculously Easy to Make, and Really, Really Fun to Eat. As they cook, the tomatoes transform themselves into munch-able morsels of sweetness, perfect for snacking, chopping up for bruschetta, or adding to spaghetti sauce. As you can see from the photo above, I tossed unpeeled garlic cloves onto the trays of tomatoes. This was a waste of time. The tomatoes didn’t absorb any garlickyness whatsoever. Nor did they need to! The concentrated tomato sweetness requires no enhancement beyond a little olive oil, salt, and pepper. 2. Cut the tomatoes in half, then lay them skin-side down on the parchment-lined baking sheets. Don’t worry about crowding — the tomatoes will shrink as they cook. 3. Sprinkle just enough olive oil over the tomatoes to make them shimmer. Then toss on a tiny amount of salt and pepper. 4. Set one sheet on the middle rack of your preheated 225 degree oven; set the other sheet on the rack below. Roast for approximately 6 hours, or until the tomato halves appear dry, but still contain a slight amount of juice. Test one to be sure. If you are not going to eat the tomatoes right away, cover with olive oil and store in the refrigerator. Think you’ll try these Slow-Roasted Cherry Tomatoes? I certainly hope so. Honestly, they are heaven on earth. I've been oven-drying my cherry and grape tomatoes, which is similar to what you've done. I don't even cut them…I just lay them flat on foil on the oven's lowest setting and let them dry for 12-18 hours. I then freeze them, and if I want to give some as gifts, I pack them in olive oil in a pretty jar. They are the quintessence of tomato-iness!! Marilyn – Yum is right! Cathy – Have fun. They are so easy to do. Louise – What great gifts a jar of these would make! I'd like to try your no-slice method, but tell me: what is your oven's lowest setting? It's 170 degrees F. I leave them in overnight and then usually a few more hours in the day. I test for doneness by tasting. Oh Kevin, thanks again for a lovely idea. I cannot wait to try this with my Black Cherry heirlooms. What beautiful varieties are in your garden this year? Thanks as always for your post! If you haven't already, you may want to consider investing in a food dehydrator…they're great for drying tomatoes and TONS of other things; peaches, apples, strawberries, potatoes, etc. I heart my dehydrator! I cut 2 1/4 pounds of mixed cherry/grape tomatoes (yellow, orange, and red) in half and put them into an 11″ x 8″ glass baking dish along with 4 minced garlic cloves, scant 1/2 cup EVOO, some kosher salt, and a sprinkle of crushed red pepper flakes. I stir to combine then place in a 425 to 450 degree oven for 30 to 45 minutes or til tomatoes look “roasty” and the sauce has reduced to about half. Sauce will thicken as it stands and cools. While sauce is roasting, I go out to the herb garden and pick enough mixed herbs to get 1/2 cup, chopped. I usually use basil, onion chives, and Italian parsley but use what you have. Oregano is good, too. When sauce is removed from the oven, I immediately stir in the chopped herbs. If I'm not using it the same day I refrigerate or freeze it. When using after being refrigerated or frozen, bring the sauce to room temp but don't “cook” it again. Then toss with hot cooked pasta or use however you wish. It's great on chicken/eggplant parmesan and makes a super yummy topping for crostini. I usually double this recipe..can never have too much of it in my freezer. And it's all the more special when the toms, garlic, and herbs come right from the garden! 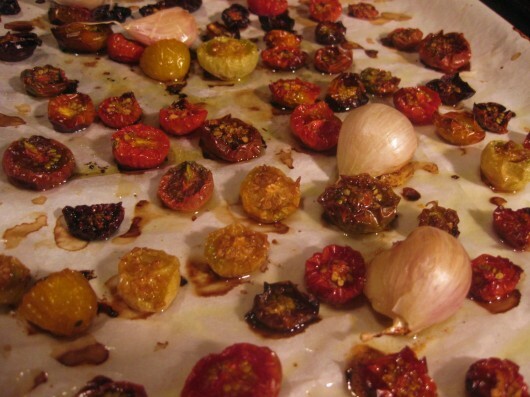 Cary – This recipe would be excellent (and colorful)with Black Cherry heirlooms. Although I grew lots of paste and other tomatoes (all heirloom) this year, the cherry tomatoes in the photos above came from my local farm store. Jen – A food dehydrator is on my of things to buy, and the recipe you described above is on my list of things to make! Honestly, just reading your list of ingredients made me cry. What a sauce! Donna B. – You are so right about the garlic! I spread it on toast. Delicious. Can’t wait to try these. How do you store them, since you say there should still be a little bit of moisture left? I can’t see preparing them in small to be eaten at once. Hi Jayne – You can freeze them in air-tight bags or tubs, and then enjoy them all winter long. Carolyn Collins – Brilliant idea. And economical, too! kevin, i love the “redolent…ridiculous…really really” alliteration, you wordsmith! got tons of ripening large cherry toms, was wondering what else besides freezing i should do w/ them. prayers answered. maybe instead of a 9″ tomato pie, i might use these cherry toms for mini tarts? I did it! 15#’s of cherry tomatoes turned into oven roasted sweet goodness. I roasted 4 half sheet pans in a 275 f. oven for close to 5 hours. They were bathed in cold pressed virgin olive oil, tossed with coarse salt and handfuls of chopped garlic. I pulled out pans of some gooey, some charred, some dried perfectly. Somewhat confused by the madness I tossed it all in the food processor and pulsed. Spread it on a Gorgonzola cracker and melted to the floor. Put up 8 jars in the freezer. Cannot wait for a wind whistling, bone chilling night to pull this ambrosia out while I pour over seed catalogs in the dead of an Ohio winter…… Thank you!! my first posting to any type of site & it’s just to thank you for sharing such wonderful ideas! when you posted this recipe last year, we tried it & it was such a success that we will now do it every year we can! the cukes w/yogurt & mint was out of this world. 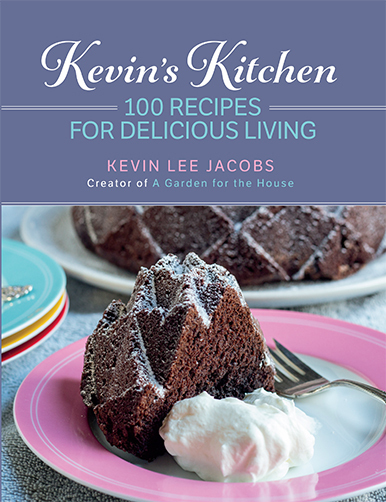 thank you again, keven; i look forward to sunday mornings to reading your newsletter & looking for the next great idea or recipe. I semi-dry my cherry and regular tomatoes in a dehydrator, then i put them in the blender along with some olive oil and fresh basil. After blending everything, i keep a bit in the fridge for the next 2 or 3 days and freeze the rest in ice cube trays, to eat over the winter. To serve: mix freshly crushed garlic and parmesan cheese with hot pasta and some of this special tomato sauce (fresh or thawed). Tis a delight! I used my Misto filled with olive oil and misted the tomatoes. Worked great! Sounds wonderful, but it is too HOT here on the gulf coast of Mississippi to even think about running the oven for 6 hours–even a slow oven. I’ll just have to eat your pictures with my eyes. So excited to try this. I have a huge crop of Lemon Drop Heirlooms this year and was wondering what to do with besides freezing. Love this page and all the wonderful posts and ideas…. hope this does not sound naive…. this is how all life should be!!! Thanks, you guys…. OK, picked 2 1/2lbs of Lemon Drops and they are in the oven. Used the3 recipe Jen posted from 9/16/11 since I had so many. Will get some Black Cherry Heirlooms from my sister and then I will do the slow pan roasting. 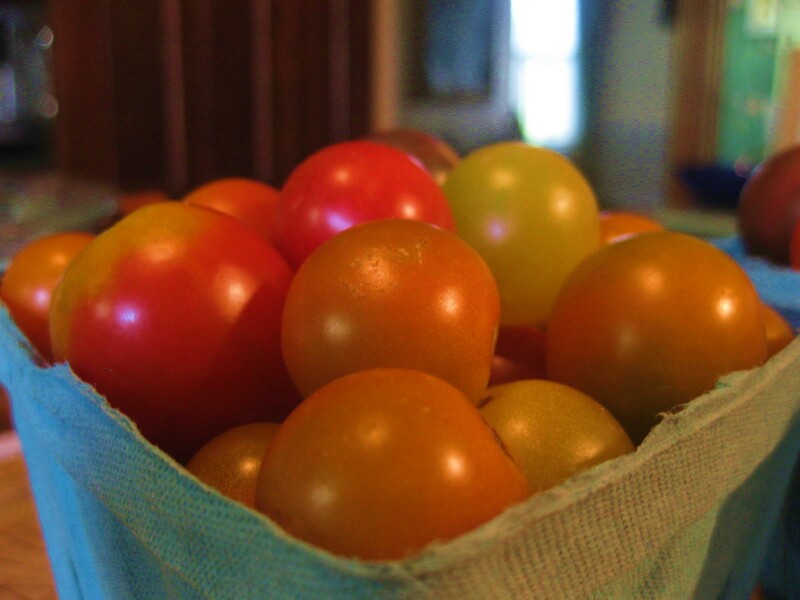 Now off to make my Golden Cream of Tomato soup with my Dixie Golden Giants and Golden Jubilee Heirlooms!! Thank you Kevin for the inspiration. Also, as I was picking tomatoes my chickens were following me hoping to get a treat. I started to wonder if you had chickens? I just started my flock this year and I am hooked. Picked up my fresh eggs on the way back from picking tomatoes and I live in the city! Thanks so much for solving my problem of what to do with all these cherry tomatoes! 🙂 Sounds delish. I envision them packed in olive oil for a future pasta toss. Yumm. Laura, after you put your tomatoes in the jar with oil, are you sealing the lids? How long will they last unsealed? Caroline Baines – Hah! Normally I’d agree with you concerning garlic. 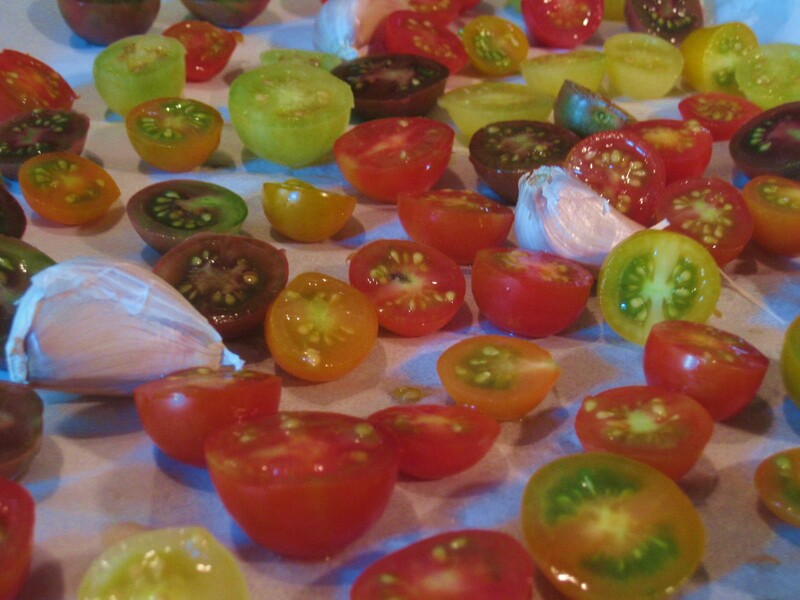 But the tomatoes did not absorb any garlic flavor as they roasted. However, if you squish that garlic out of its shell, then add it to the finished tomatoes, and then pour the works over pasta, well…va-va-voom! I made a very full jelly-roll pan of these tomatoes yesterday. Took them out of the oven. They lasted exactly 8 minutes. If I had chewed them more they probably would have lasted a little longer. They were WONDERFUL!!!!!!!!!!! Thanks Kevin. Love the site and all the positive, happy gardeners you’ve got collected here. Try mixing them up with some smoked peppers and onions for a salsa. Hot or mild depending on your taste. Did this last year and it all went in few days. 6 quarts. My family loves this. These are soooooo good! Very flavorful and addictive! Do you suppose that I could do this with mini eggplant too? 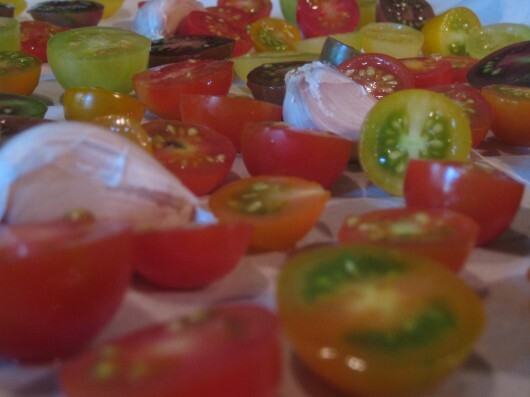 My Tomatoes are in the oven now…. Read comments and just added the garlic…. Thx much, Kevin! We are experiencing the warmest summer for years in the Seattle area. I just finished roasting 3 pans of my bumper crop of Sun Gold cherry tomatoes. WOW! They are fantastic. I didn’t even bother cutting them in half, just tossed them onto parchment and added olive oil and salt/pepper as your recipe states. one pan needed additional time, but 2 were done in 6 hours. thank you for such great suggestions! I really enjoy your blog. On my goodness, this does look delicious. Now i know what to do with my surplus tomatoes that I’m expecting this year. I’ve already planted (here in Michigan) several new to me varieties of tomatoes this year. I get tired of tomatoes in salads, chopped and added to spaghetti or lasagna, and will be learning how to can and dehydrate them this year. Roasting them just added a whole new window to my culinary world! 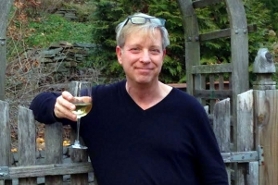 Thanks for all that you do, i love your posts, recipes and am still jealous of your beautiful gardens. Last year I added some dried Italian seasoning to the oil and s/p and dehydrated Black Cherry toms in the dehydrator. I sent some to our daughter and she called saying that they were the best thing she had ever eaten. Will try the oven method too because the dehydrator is full of herbs. You need one of these toys too, Kevin. Just picked a 1/2 peck of Black Cherry and Sungold tomatoes. It started raining at noon, driving me into the house, so the overabundance is going in the oven this very afternoon–with lots of chopped garlic. Am wishing I had a dehydrator with two pecks of Principe Borghese tomatoes standing in the wings awaiting their entrance on stage. Kevin, I thought of you when I saw this: Easy way to halve cherry tomatoes: wash and remove stems, then put a number of them on a plastic lid (like to a deli container or, gasp butter/margarine container), top that with second lid. Kind of like a tomato sandwich between the two plastic lids. Then, using the top lid to hold the tomatoes in place, slice between the two lids, slicing all of the tomatoes in one fell swoop!